Blue Silicone - Silky smooth texture. 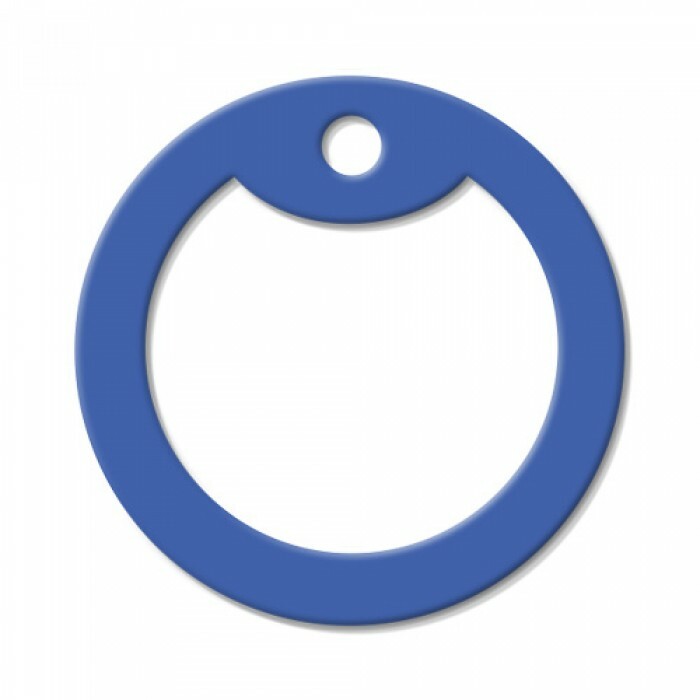 Silicone is a synthetic (man-made) rubber which is highly inert and does not react with most chemicals, is resistant to heat, and is hypoallergenic so it won't cause skin rashes. What are Dog Tag Silencers for? Where can I buy Dog Tag Silencers? 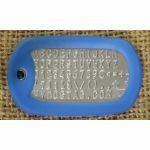 How do I attach a Silencer to my Dog Tag? Can I use a Silencer with my Pet's Tag? What is Silicone Rubber (Dogtag Silencer)? 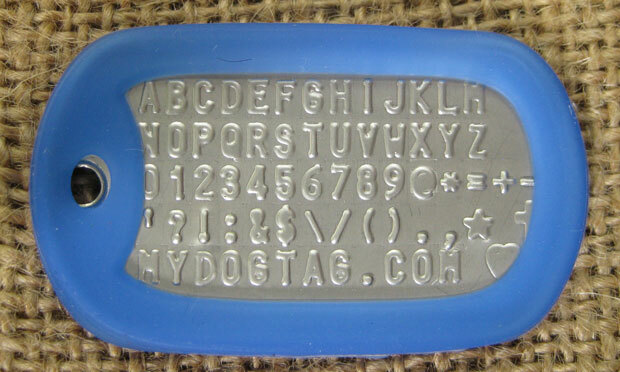 What is Latex Rubber (Dogtag Silencer)? Why do some Dog Tag sets not come with Silencers? Why do Silencers sometimes fall off the Dog Tags?